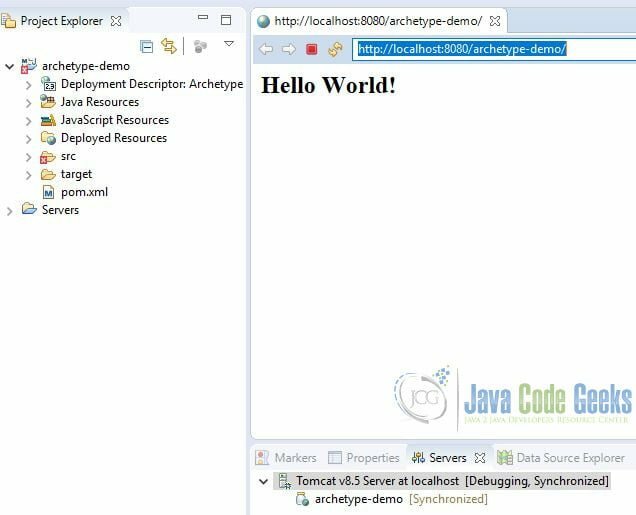 Eclipse is a Java Integrated Development Environment (IDE). Eclipse has had Maven Integration for Eclipse since version Luna. 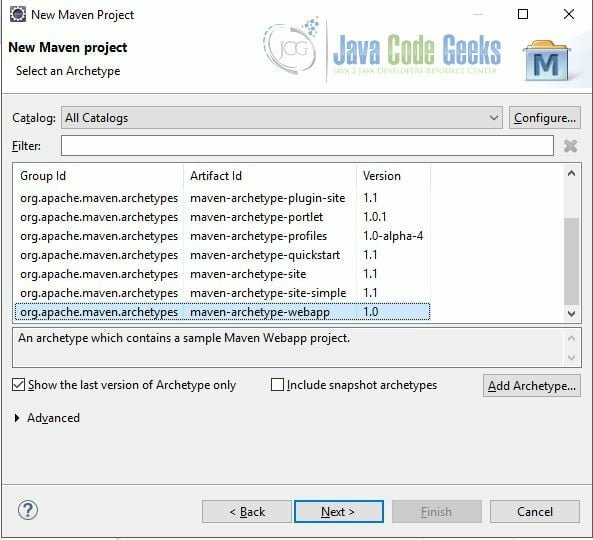 Maven Archetype is a Maven project template plug-in. It enables developers to create a new maven project consistently and quickly. 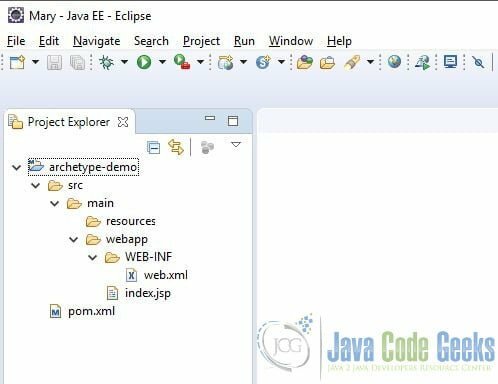 Eclipse IDE comes with nine most commonly used archetypes. Maven hosts about over 600 archetype in the remote catalog. 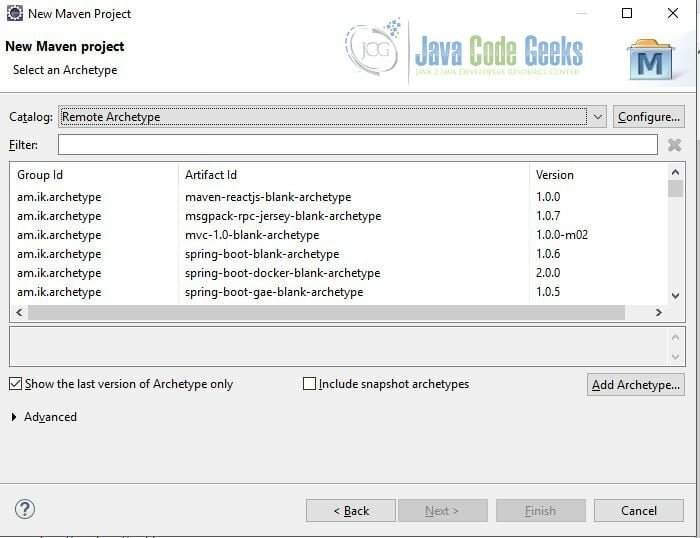 I will show you how to import these archetypes into Eclipse IDE. 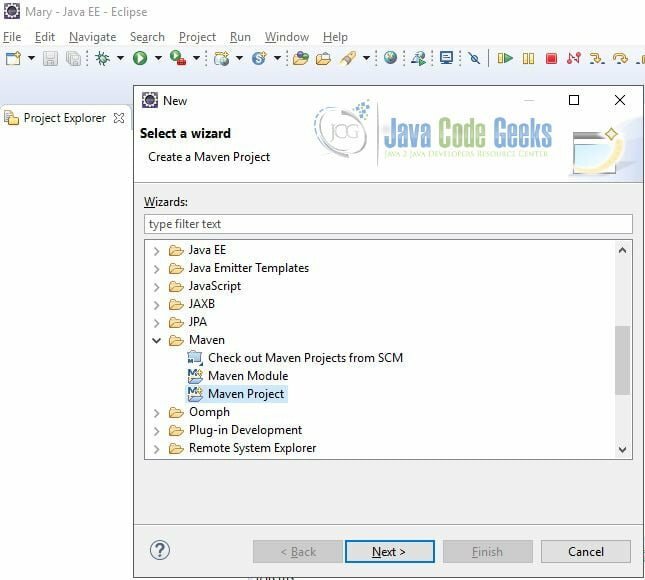 In this example, I will demonstrate how to create a new Maven project from a Maven archetype in Eclipse IDE. Eclipse includes several common archetypes from the internal catalog. 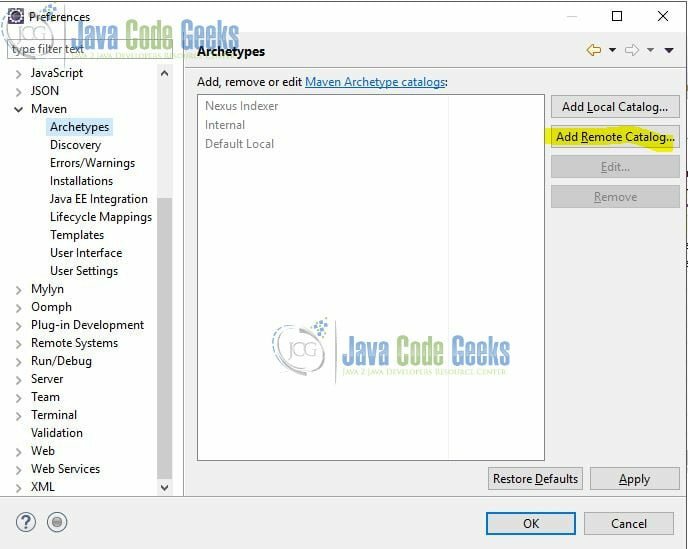 In this step, I will demonstrate how to create a Maven project based on maven-archetype-webapp. Launch Eclipse IDE. Select File->New...->Project...->Maven-->Maven Project and click Next. Select “maven-archetype-webapp” from the archetype grid. Enter Maven properties: group id, artifact Id, and version. Click Finish. In this step, I will build the generated maven project and deploy it under a tomcat web server. It should include a standard maven project, web.xml and index.jsp based on the definition of maven-archetype-webapp. Open the Eclipse project and verify it. It should automatically build. I can deploy it to a tomcat server. Click here for the detail instructions. 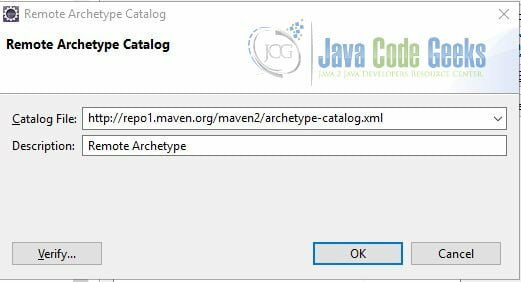 Maven hosts a remote archetype catalog with over 600 commonly used archetypes. Click here to see these archetypes in detail. 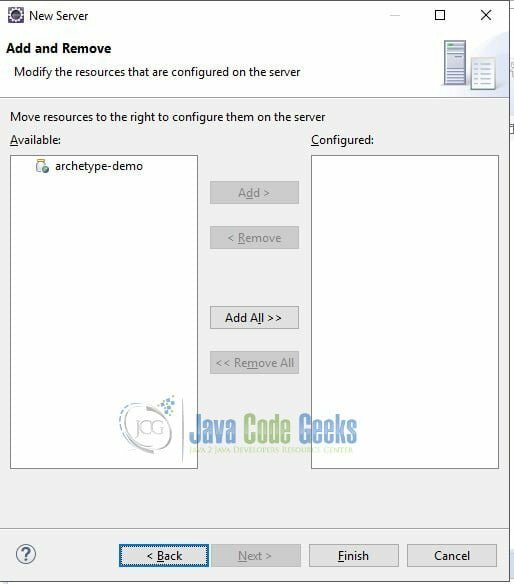 In this step, I will show you how to import archetypes from a maven remote catalog into Eclipse. 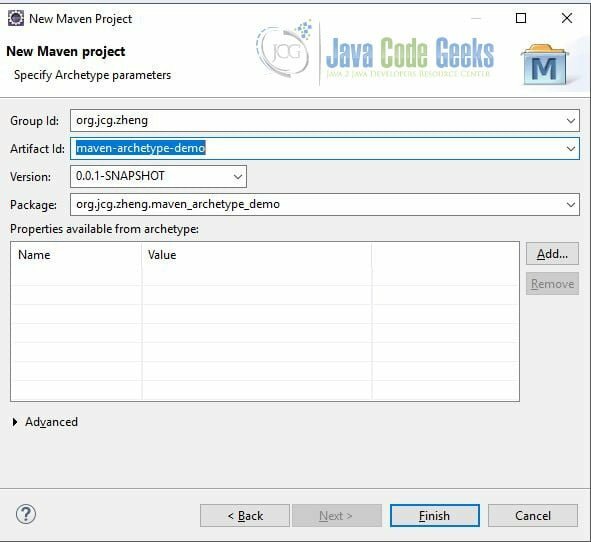 Launch Eclipse IDE, Click Windows -> Preferences -> Maven -> Archetypes. Click Add Remote Catalog. Enter http://repo1.maven.org/maven2/archetype-catalog.xml for catalog files. Enter Remote Archetype for description. Click OK. Now Eclipse has a new remote archetype catalog. You can create a maven project from any of these archetypes with the same steps as in step 3. 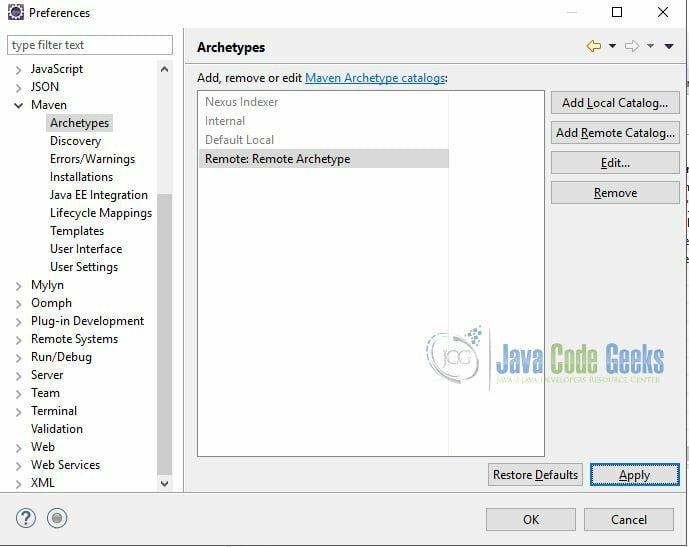 In this article, I showed how to import Maven remote archetypes into Eclipse and how to create a new Maven project from the selected archetype. Most organizations create their own archetype catalog. In that case, developers need to import them into the Eclipse and follow the same step in step 3 to create a new project. This example consists of a Maven project generated from maven-archetype-webapp.